Sorry for the radio silence. I had all sorts of plans to pre-plan some blog post while we were away plus we thought the holiday park had Wifi so I could sneak over to the bar in the evenings to do some work and blogging. Turned out the bar was only open on weekends outside the summer holidays. Wow is about the only word that can describe the whirlwind that was Yarndale. Our trip to Yorkshire started with the drive from hell on Friday. The driving directions I printed off said it'd take us 5.5 hrs. We stopped for an hour in Bristol to take Vanessa out to lunch. It took us 11.5 hrs to drive from Cornwall to Yorkshire. We hit problems just after Bristol and basically the whole of the M6 was 'stop/start' all the way. We tried coming off the motorway but it was even worse. I was getting increasingly worried we wouldn't get there before the auction mart closed for the evening. We got to within a few miles of Yarndale then we came across a closed road. To be honest, I almost cried. A lovely petrol station guy gave us alternative directions and we arrived at the auction mart at 8.30pm. We unloaded the car and got our tables and put the table cloths on. And then we were told we had to leave because they were locking up. This is how we left our stall on Friday night. We had booked a Travelodge half an hour away in Burnley. I used the sat nav on my phone to find the way to the hotel and we got to Burnley okay. But trying to find the Travelodge was another nightmare. In the end we called them and found them behind a derelict building with no lights to show the sign to the hotel. In the end it took us 1hr 20mins to get to the hotel, instead of 30 mins. Then we discovered that the bag with my toiletry bag and make up bag in had been off-loaded at the show. Basically it wasn't a good start. By the time I went to bed on Friday night I was thinking 'this better be worth it!'. And it was! We arrived at the show just before 8am on Saturday and just managed to finish setting up and put my make up on before the crowds came. I've never seen crowds like it. We were close to the main entrance and our stall was full from before 10am till about 2pm then it got quieter. I've heard lots of complaints online about the traffic, the crowds, the queues. I also heard that the organisers were hoping for 6 000 people over the weekend and had 10 000 on day 1! If that's true then no wonder they were overwhelmed. I do understand it must have been disappointing to have to queue for a long time but as a stall holder the show was a massive success. Sunday was much much quieter. Moneywise we took about 1/4 of what we did on Saturday but a lot of our yarn had sold out and several of our most popular patterns had sold out too. But in general, I normally find that day 2 of most shows are quieter than day 1. I took some pics over the top of our stall to try to show an idea of the crowds but it doesn't really show it that well. It was great to see many regular customers and lots of new ones. Thank you to all who came to make this one of our best shows ever. I'm hoping they'll do it again next year. The most impressive thing about the show, apart from the crowds, was the huge amounts of crocheted bunting. I forgot to take pics though but it was amazing. I also heard that the yarn bombing around Skipton was pretty amazing too. After the show we moved from the Travelodge to a holiday park (static caravan) near Haworth which is the Bronte sisters home village. On the way to the holiday park we stopped to look around the village and the church. We didn't go to the Bronte parsonage though. It was quite expensive. On Tuesday we visited West Yorkshire Spinners in Keighley. I've done a lot of work for them over the summer and they're doing a photoshoot this weekend for 9 designs that I've designed over the summer. Can't wait to see the result. I also used their yarn for Morag from Knitting and Anita from Let's Knit. I also had a preview of some new yarns they're thinking of introducing. Simon and i had a tour of their spinning facility and it was really interesting. I've only seen a small historic mill before so seeing a computerised modern mill was really interesting. Some of the equipment is very impressive and yes, I forgot to take pics. We had a lovely morning with them though and I highly recommend their yarn which is spun from British wool. Their Bluefaced Leicester yarns are fabolous. Our other highlight of the trip was a visit to York. I've never been but loved York and would love to go back. We went to choral evensong at Yorkminster. And did some shopping in the narrow streets. Lots of lovely shops. We finished our day with a meal to celebrate our 22nd wedding anniversary which was on day 1 of Yarndale. The weather for Yarndale was beautiful but it quickly went downhill and we had a couple of wet days. One day we drove into the Dales and managed a short walk around Grassington before the fog increased. Beautiful area and I'd love to explore the Dales more in better weather. We also visited Duttons for Buttons and I bought 3 bit feature buttons. On Friday we drove on towards Glasgow and met up with Simon's parents and the girls at a services on M6 in Cumbria. The girls transferred to our car and we drove off to do some sightseeing along Hadrians Wall. The weater wasn't great so we had a quick look at the wall and visited an old fort. We drove on to Glasgow and on Saturday Vanessa and I headed in to town to do some shopping and Simon and Emily did some sightseeing and museums. After lunch Vanessa and I met up with fellow designer, Karen, at The Yarn Cake. Vanessa wanted to knit a scarf and although she's only knitted one scarf before and that was several years ago. She chose some yarn and I cast on for her and she got knitting. She remembered what to do and yes, she's a continental knitter like me. Saturday night was our nephew's 21st birthday party which was the reason for our trip to Glasgow and it was a great evening. Sunday we drove home which took 10 hrs. I'm still recovering! I'll try to resume regular blogging service now. 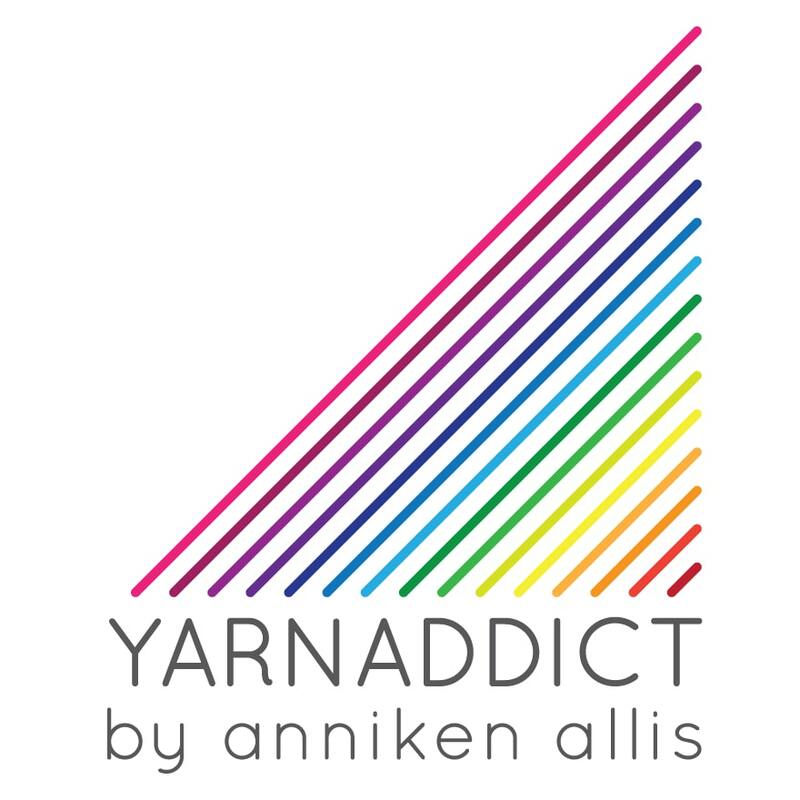 Tomorrow I'm teaching at Spin A Yarn. Love how she's a continental knitter too! I'm pretty certain my 14yo is too, although she hasn't knitted for a while. And no wonder you're not coming to Ally Pally, I'm tired just reading about all this!